Non-prescription Medicines reviews over-the-counter products, arranged by the conditions they are licensed to treat. Includes recommendations. Non-prescription Medicines is the only publication in the UK that deals with available OTC medicines comprehensively and in depth. 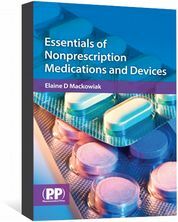 This new edition has been revised and updated to reflect amendments in legal category status of several products from prescription-only (POM) to pharmacy sale (P) status. Over-the-counter (OTC) medicines currently available in the UK are reviewed in alphabetically arranged chapters on the conditions that they are licensed to treat. 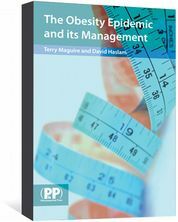 44 common conditions are covered and new chapters on Chlamydia, Obesity and Benign Prostatic Hyperplasia have been added. This vital resource will enable pharmacists, GPs, nurses and other healthcare professionals to make well-informed recommendations and to give sound advice to their patients. 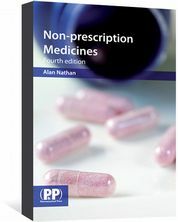 Non-prescription Medicines is also available as an eBook. Updates to Non-prescription Medicines, 4th edn will be posted here. 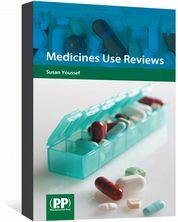 Updates will include information on new products, including new POM to P reclassifications; discontinuations; and any new and significant clinical evidence or other clinical information relating to medicines in the book. In order to view the PDF files, Acrobat Reader should be installed on your computer.